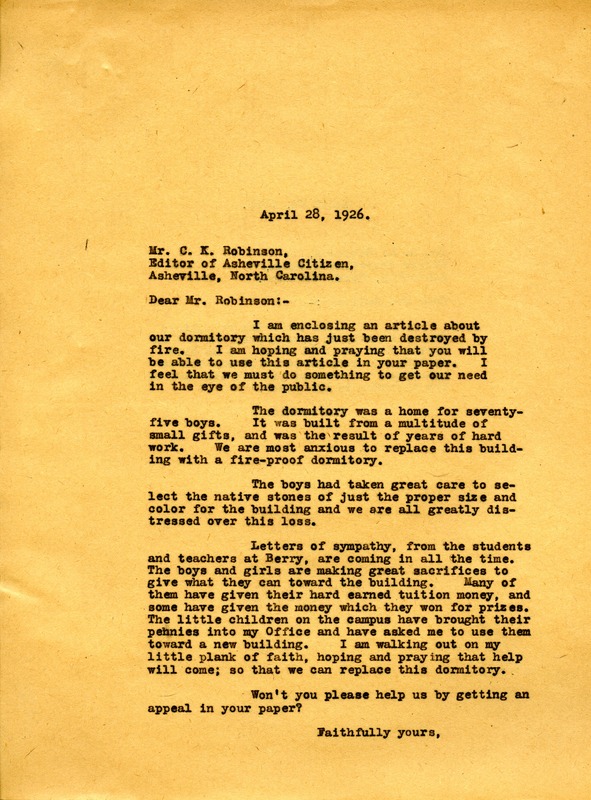 Martha writes to Mr. Robinson with an article about the dorm fire at Berry in an attempt to get an appeal in the Asheville Citizen. 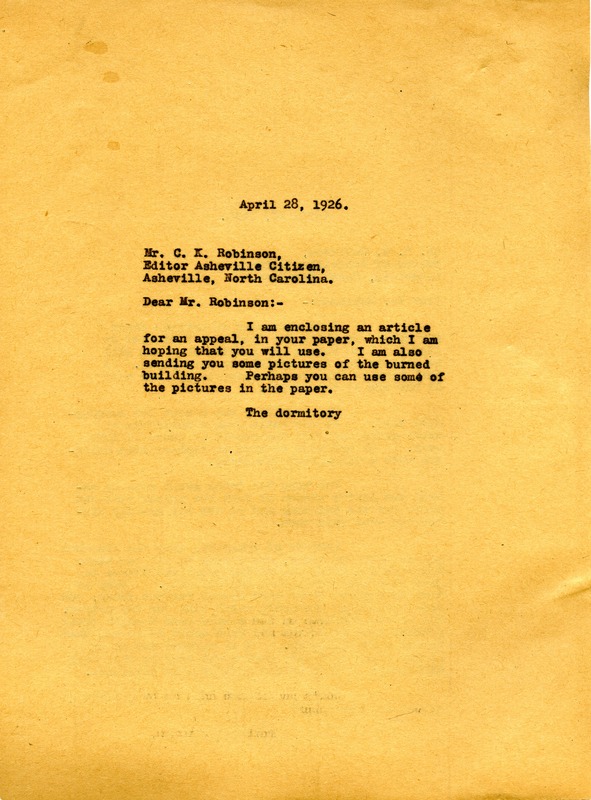 Miss Martha Berry, “Letter to Mr. C. K. Robinson from Martha Berry.” Martha Berry Digital Archive. Eds. Schlitz, Stephanie A., Jordan Brannen, Aaron Jackson, et al. Mount Berry: Berry College, 2012. accessed April 24, 2019, https://mbda.berry.edu/items/show/3054.